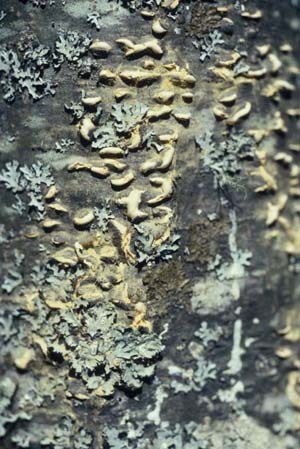 White pine blister rust (WPBR) caused by the fungus Cronartium ribicola is a devastating introduced disease of five-needled pines (Section Strobus) and Ribes species in North America. The impact of WPBR in Minnesota has hampered attempts to replant P. strobus in many high-hazard sites in the northeastern and north-central portions of the state. 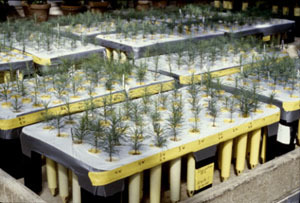 The development of resistant P. strobus seedlings will make planting P. strobus in Minnesota (and other areas of the Lake States, Northeastern US and Canada) more successful and will significantly improve current efforts to re-establish white pine throughout its original native range. In conjunction with the Minnesota Tree Improvement Cooperative we are screening Eastern white pine seed sources (primarily from Minnesota) for resistance to WPBR. Several seed sources have been consistently resistant after artificial inoculations. One of these seed sources has recently been released for planting and is called Patton's Silver Splendor. This cultivar was named in recognition of Professor Robert Patton who carried out a great deal of early work on selecting white pines for resistance. The seed sources identified as resistant by screening are also being used to identify resistance mechanisms/traits in needles and stems that may be used for future selection or breeding strategies. Using histology, scanning electron microscopy and biochemical analyses we are investigating potential mechanisms/traits that may contribute to resistance to white pine blister rust. Research findings indicate that multiple mechanisms may be present in resistant phenotypes. 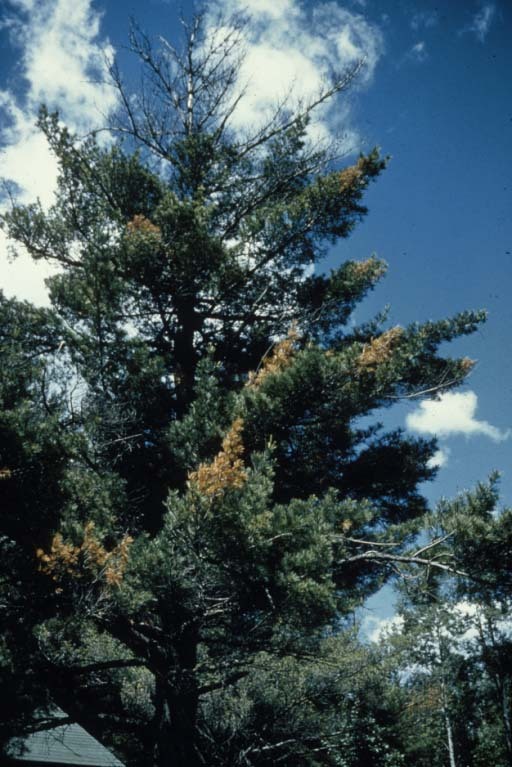 A white pine seed source we have found to be resistant to white pine blister rust, named 'Patton's Silver Splendor' has been released by the University of Minnesota and is available at many nurseries. © 2015 Robert A.Blanchette. All Rights Reserved.